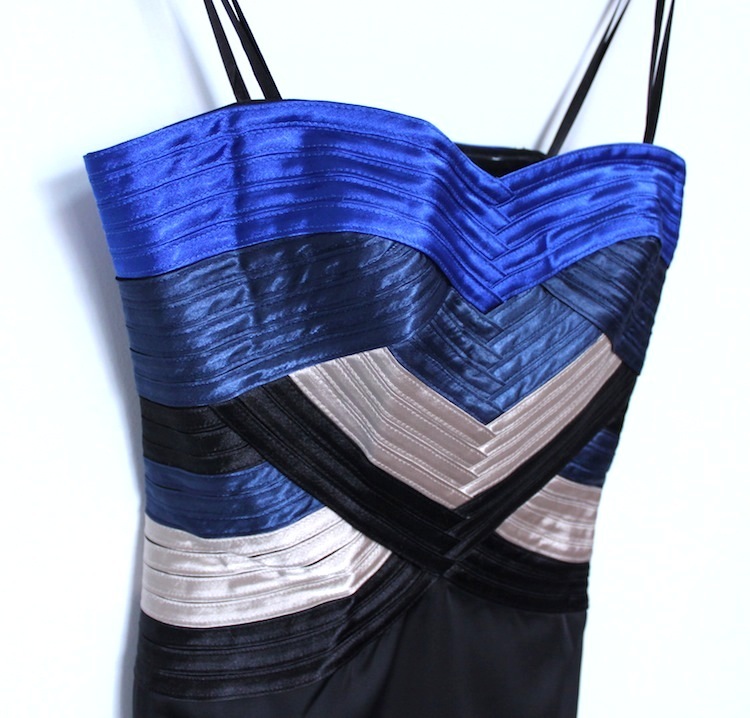 Gorgeous satin accents and a smooth silhouette make this dress a confident choice for a special event. Add a platform heel and shimmering clutch as the finishing touches to this beautiful look. Strapless. Sweetheart neckline. 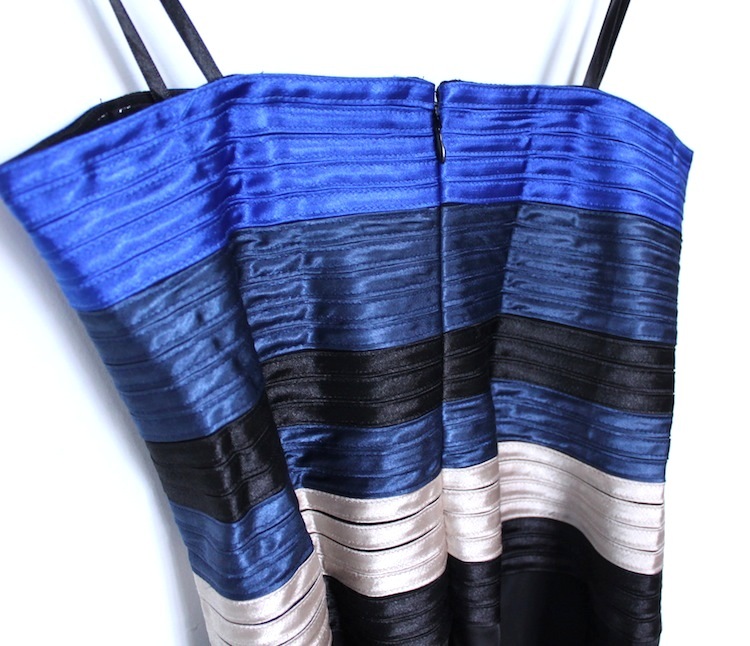 Multicolor crisscross satin panels at bust and bodice. Contrast solid skirt. Center back zipper with hook-and-eye closure. Measures approximately 27" from neckline to hem. 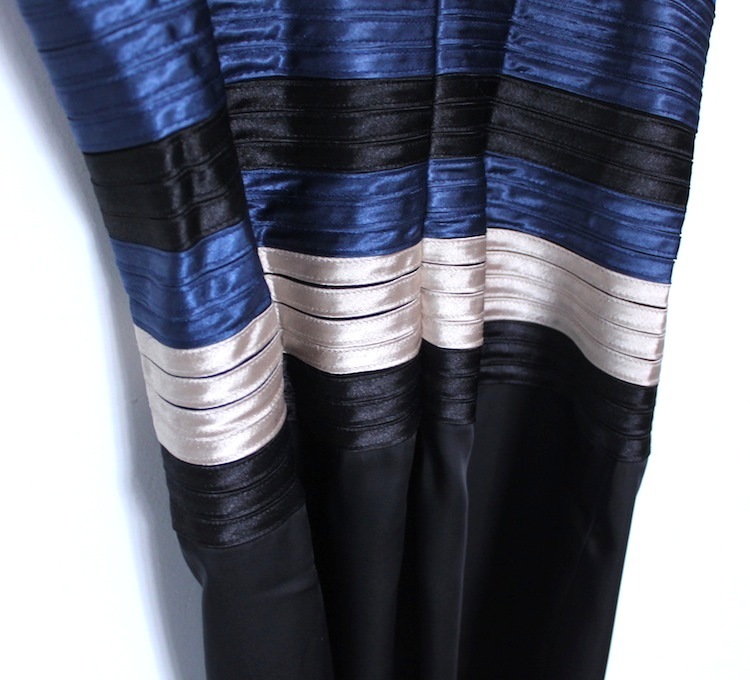 Polyester, Acetate, Nylon, Spandex. Imported.